Seller motivated! Within close proximity to Walt Disney World! Even year week 6! Buyer may receive a title fee credit, inquire for details!! $2,500 or best offer! Great area close to major attractions & activities! Buyer may receive a title fee credit, inquire for details! Price Negotiable! Great area not far from many exciting activities and attractions! Even year week 20! Inquire for details! Central location ideal for theme park lover's! Week 49! Buyer may receive a title fee credit, inquire for details! 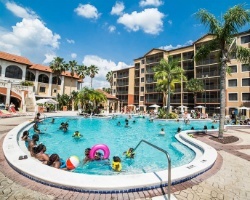 Ideal location for enjoying the Orlando area! Something for every age and interest! Buyer may receive a title fee credit, inquire for details! Convenient location near theme parks! Week 52! Buyer may receive a title fee credit, inquire for details! Spacious accommodations with room for the whole family! Buyer may receive a title fee credit, inquire for details! Sale includes 1 banked week! Fees for 2016 have been paid! Buyer May Receive A Title Fee Credit, Inquire For Details! 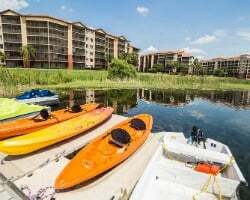 Beautiful lake resort close to Disney! Floating week! Buyer may receive a title fee credit, inquire for details! Spacious accommodations with room for everyone! Great for your family reunions! Buyer may receive a title fee credit, inquire for details! Picture perfect family vacation resort! Floating week during odd years! Buyer may receive a title fee credit, inquire for details! Great location that all ages will enjoy! Odd year floating week! Buyer may receive a title fee credit, inquire for details! Prime location for enjoying the nearby theme parks! Floating week! Buyer may receive a title fee credit, inquire for details! Bring the whole family on fun-filled Orlando vacations and enjoy its world-famous attractions! Buyer may receive a title fee credit, inquire today! 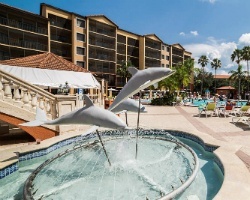 Fun family resort near the theme parks! Enjoy onsite dining options, various activities for all ages and more! Week 15! Inquire for details! 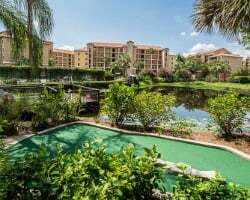 Central location near Orlando's most well known attractions! Even year floating week! Buyer may receive a title fee credit, inquire for details! Motivated Seller!! 2017 week available for immediate use! Pick your vacation dates with an annual floating week! Buyer may receive a title fee credit! Ideal location that all ages will enjoy! Week 14! Buyer may receive a title fee credit, inquire for details! Central location to theme parks! Floating gold week! Buyer may receive a title fee credit, inquire for details! Price Just Reduced! Enjoy a luxurious vacation experience! Annual floating gold week! Buyer may receive a title fee credit, inquire for details! Theme park lover's welcome! Easy access to many attractions! Week 8! Buyer may receive a title fee credit, inquire for details! Take family or friends to Orlando! Yearly in May week 19! Buyer may receive a title fee credit; inquire for details! Come to Central Florida & explore all the attractions! Buyer receives complimentary closing credit; inquire for details! Fun family resort near the theme parks! Yearly usage in February week 8! Buyer may receive a title fee credit; inquire for details!